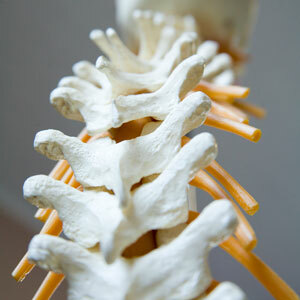 Our job at East Texas Family Chiropractic is to address the problems we find in the spine. We look carefully at a misalignment or subluxation and any muscle spasms or nerve roots that may be associated. We want to develop the least aggressive plan of care for the quickest, maximum effect. Our goal is to get you back to your life! Chiropractic isn’t just about your spine, either; the benefits of chiropractic are many. You’ll see a reduction in pain and inflammation and an increase in your range of motion. Your sleep is also likely to improve. The body does most of its healing while you’re sleeping. Chiropractic care is best thought of as a continuum. You can break up your care into three phases: relief care, corrective care and wellness care. During the initial phase of your care, our goal is to quickly relieve your symptoms. Your visits will be more frequent as we work to reduce inflammation and correct structural problems. In addition to your adjustments, natural anti-inflammatories like ice, and Omega 3 fatty acids plus exercises performed at home or in the office will help accelerate your healing. Pain is often the last indicator of a problem within your body, and it is often the first symptom to disappear. That means that relief from pain is only one piece of the puzzle. Pain typically begins after a condition has become advanced. Once we alleviate your pain, we still have work to do to address the underlying problem. During the corrective phase of care, we will continue to treat you even after your symptoms are gone. We work until the problem is corrected. Once we are able to eliminate the problem, we want to ensure that it doesn’t return. That is the reason why ongoing wellness care is so important. We want to stabilize your spine to prevent future injury, reduce the likelihood that symptoms return, and leave your body in optimal condition. Patients feel so good at this point that they can’t imagine going back to the pain. They understand the importance of ongoing care to prevent recurrence of pain and other symptoms. Most of our adjustments are delivered with the help of gentle, low-force tools. We commonly use Activator Methods®, VibraCusser® and ArthroStim®. Other techniques we use include Diversified, laser therapy and trigger point therapy. Before your adjustment, we will explain exactly what we see as the problem to be addressed. We’ll also review with you the plan to correct it. The adjustments themselves use a very gentle and specific low force to accomplish the correction. Dr. Ben will demonstrate each of the tools on himself before he adjusts you. If lying down for treatment is uncomfortable, Dr. Ben can perform treatments with you seated or standing. Your body needs to be at ease, or it will not respond as well to the adjustment. We will work with you to make the entire experience as comfortable and stress-free as possible. See for yourself the healing power of chiropractic! Schedule your consultation today to get out of pain and back into life!